I guess I should back up a bit and explain what I’m even talking about. Several big things coming up. Chicago Marathon–I’m surprising okay with this prospect now that the actual details of the trip are in place. I understand the training methodology my coach uses for marathon and longer distance running because I’ve been through this cycle once–and while it’s very different than say, prepping for a half marathon, and it looks and feels so bizarre to me to not climb in distance as high pre-race and long runs are at lower RPE, but strength, flexibility, and speed training feed into the endurance. The only variable that I don’t necessarily like playing with is that my coach factors in my adrenaline level when racing–which in my mind is never a guarantee, but I just keep telling myself he’s the pro, just go with it (we all know my trust issues! LOL). The one that’s been stressing me is the century ride, and this is where I start sounding completely insane. I know I CAN do it and I WANT to do it (probably a little too much), but I’ve had so much that has shaken my confidence on the long rides recently that are all overcomeable (I know, not a word), but the frustration compounds every time I hit the proverbial wall. I just want one good long ride that “feels” good (but not necessarily feels good, if that makes sense, it is work after all)…and time is ticking, as pretty much this Saturday and one in October will be my only opportunities (when I’ll be riding completely foreign territory) to lay down that kind of time because of racing next weekend (an oly is totally appropriate marathon prep, yes?) and the next is Chicago…then the one week in between it looks as if I’ll be riding a portion of the IMAZ course because of some travel…and then comes century day…staring down 100 miles. On a bike. (Still baffles me too…) I’m also curious to see the modified cycling training calendar post-marathon, so far it’s only been alluded to and likely cementing my nickname for my coach. I had a bit of a meltdown yesterday (well, I’ve had a few over the last couple weeks with my coach) and really pinpointed my number one fear dead on…I’ve danced with this fear a little bit recently, but I think I came into a full understanding of it, and it doesn’t make me super happy. Being alone. And it sounds completely ridiculous admitting this to myself, because when you look at the idea, it doesn’t seem like a big deal. In running, it’s not a fear…it’s different. Running does things in my head that are indescribable in terms of passing time, pushing further, gaining clarity. I savor that time alone. 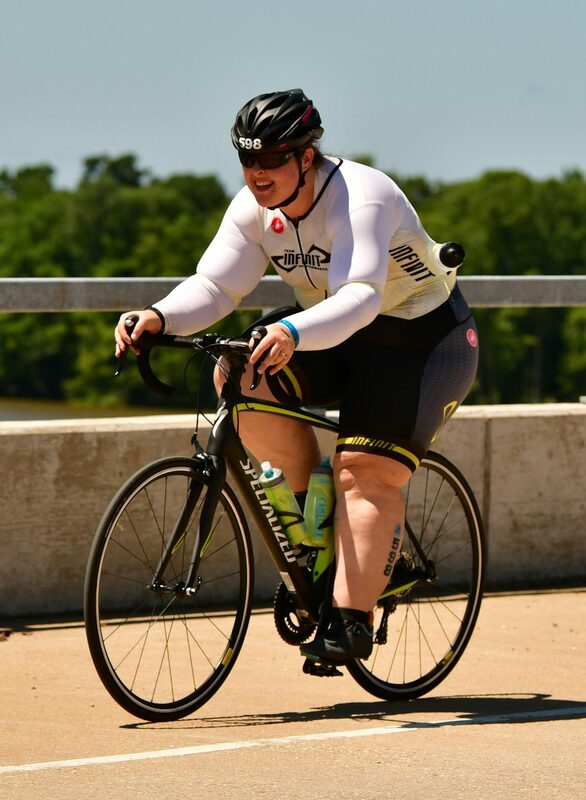 Cycling…for 100 miles…alone…that messes with my head. Sure, there’s aid stations and all, and let’s face it, people passing me. On the bike there’s so many more things to be conscious of, many of which aren’t just automatic or second nature to me (yet? ever?) so I don’t really reach that “zone out” point like I do in running. I’m very present, which leaves that laser focus on how I feel and giving myself way too much time to concentrate on the little things that add up to putting me in a negative headspace. There’s no distraction like if you’re having a conversation with someone or having your mind taken off how much your legs are burning or how much further it is to a particular point in some manner. I voiced this to a group of cyclists/triathletes yesterday where the point of our discussions are about just this–mental toughness–there were some interesting recommendations on how to pass the time it takes for this ride, but nothing really to alleviate that underlying fear. I’m still at a loss, and it’s really bugging me. I <<>> you. We all go through thisno doubt, and more than once. Being unsure of one’s ability can lead to success. Overconfidence often leads to failure.